When my late husband Roger reviewed Stanley Kubrick's "2001: A Space Odyssey" upon its release 50 years ago, he bookended his four-star rave with the poetry of e.e. cummings, who once wrote, "listen—there’s a hell of a good universe next door; let’s go." Roger's tireless excitement for exploring other worlds through the portal of cinema will be celebrated at the first Roger Ebert Symposium, "Empathy for the Universe: Storytelling and Data Visualization," held Monday, October 1st, at the National Center for Supercomputing Applications, 1205 W. Clark St., in Urbana, Illinois. The symposium, which is free and open to the public, will kick off at 9am and feature three interactive panel discussions assembling a diverse collection of visualization experts, journalists, scientists, media experts, artists, designers—and—an astronaut. We will end the day bedazzled by the majesty of the universe in a film at the IMAX theater in Savoy. 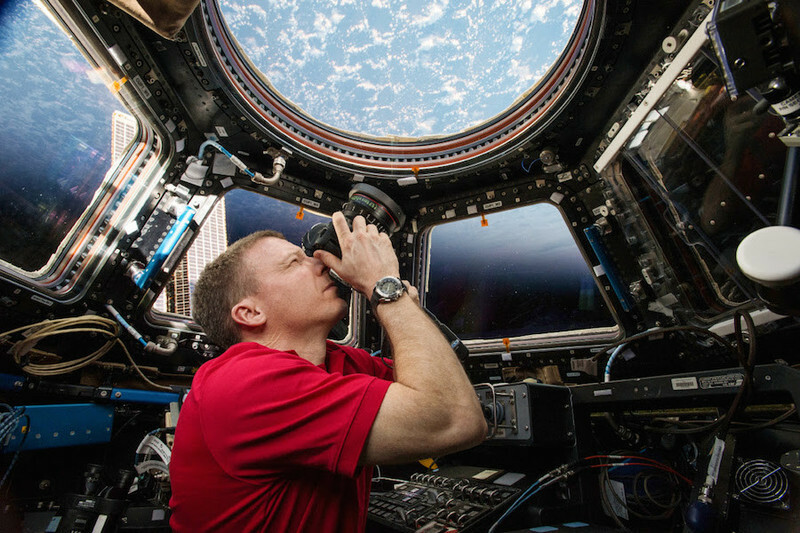 The day’s first panel discussion, "Science on the Screen," will include former NASA astronaut Terry Virts, a cinematographer for the IMAX film "A Beautiful Planet," who spent 200 days aboard the International Space Station and shot much of the footage. He will be joined by Toni Myers, the writer/director of the movie as well as other NASA-related IMAX pictures. Jennifer Lawrence served as the narrator, while NCSA’s Advanced Visualization Laboratory collaborated on the opening and closing virtual scenes of flight through intergalactic space, based on scientific data. At 4:30pm, "A Beautiful Planet" will be screened for free at the Goodrich Savoy 16 IMAX theater, 232 Burwash Avenue in Savoy, Illinois. The theater is co-sponsoring the event. As a collaboration between the College of Media, the Ebert Center and NCSA, the symposium draws from Roger's belief that movies are the most powerful empathy machine in all the arts. The scheduled panels aim to embody the principles Roger stood for, including empathy, compassion and inclusion, whether we are talking about the earth, the cosmos or our oceans. It is our hope to illustrate how cinema can bring a deeper understanding of nature, society and the universe. We will show in an emphatic way that science and the arts are not mutually exclusive, but share a bond that results in greater benefits to humanity. It will be a day that Roger would have been thrilled to participate in. I hope you will join us. Anita Say Chan is an associate pProfessor in the Department of Media and Cinema Studies at the University of Illinois, Urbana-Champaign. 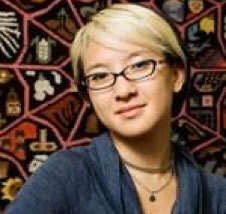 She received her PhD in 2008 from the MIT Doctoral Program in History; Anthropology; and Science, Technology, and Society. Her first book the varied imaginaries of global connection and information technologies in network-age Peru, Networking Peripheries: Technological Futures and the Myth of Digital Universalism was released by MIT Press in 2014. Her research has been awarded support from the Center for the Study of Law & Culture at Columbia University’s School of Law and the National Science Foundation. 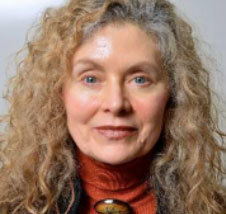 She leads the Recovering Prairie Futures Research Network at UIUC, and she is a 2018-19 Fiddler Faculty Fellow at the National Center for Supercomputing Applications. Donna J. Cox, MFA, PhD, is the first Michael Aiken Chair, professor in the School of Art and Design, Director of the Advanced Visualization Laboratory (AVL), Associate Director Research & Education, Culture & Society, and eDream at the National Center for Supercomputing Applications, University of Illinois at Urbana-Champaign. Cox is an internationally acclaimed computer artist, speaker, and recognized groundbreaker in scientific visualization. She coined the term “Renaissance Teams” to describe interdisciplinary teams who address grand challenges. She and her collaborators have thrilled millions around the world with stunning cinematic presentations of scientific data for giant-screen productions, digital museum shows, IMAX movies, and HD/4K and stereo documentaries. AVL contributed major scenes to the IMAX film, Hubble 3D which was honored with three giant screen awards for best picture, choreography, and life-long learning, 2010. Other productions include the Solar Superstorms fulldome documentary narrated by Benedict Cumberbatch, 2015, and A Beautiful Planet IMAX 3D movie, 2016, narrated by Jennifer Lawrence. The Chicago Museum of Science and Industry selected Cox as one of 40 modern-day Leonardo DaVinci’s. In 2017, the international IMERSA Immersive Entertainment Research Science and Arts awarded Cox with a lifetime achievement award for lasting and positive contributions to the digital dome and big screen field. She received the Economic Development Corporation Innovation Transfer Award—University of Illinois 2018 in recognition of her work with the potential for significant societal impact. She is lead co-editor and chapter contributor to the art historical book New Media Futures: the rise of women in the digital arts, 2018. Learn more at http://avl.ncsa.illinois.edu/ and https://www.youtube.com/watch?v=bNX5vQWkRBg&list=PL7_k65C0648p0udyrX_aRFgkszYBwkFn5. 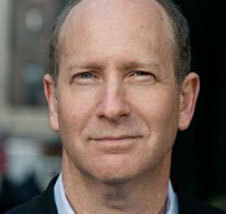 Chaz Ebert is the CEO of Ebert Digital LLC, which publishes the movie review site, RogerEbert.com. She also produces television and movies at Ebert Productions, and heads the Ebertfest Film Festival now in its 20th year, where she gives the Ebert Humanitarian Award to filmmakers who exhibit an unusually compassionate view of the world. Her civic interests include programs to help break the glass ceiling for women and people of color, and to provide education and arts for women, children and families. Through the Roger and Chaz Ebert Foundation she provides grants to support projects with strong social justice themes and mentors emerging writers, filmmakers, and technologists with a global view toward encouraging empathy, kindness, compassion and forgiveness. As an attorney she was named Lawyer of the Year by the Constitutional Rights Foundation, is a life-trustee of the Art Institute, and serves on the boards of the Abraham Lincoln Library Foundation, the Lyric Opera, the Shirley Ryan Ability Center and After School Matters. 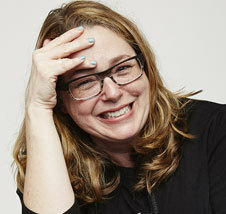 She is also a member of the Alliance of Women Film Journalists and the Chicago Film Critics Association. Brand Fortner is teaching professor at North Carolina State University, and adjunct professor of physics at University of North Carolina at Chapel Hill. He is considered an expert in accessible scientific visualization and in technical data formats. He previously was chief scientist of the intelligence exploitation group of the Johns Hopkins University Applied Physics Lab, and is the founder of two scientific software companies: Spyglass, Inc, the original publisher of the Mosaic web browser, and Fortner Software LLC, a leading developer of Macintosh based scientific visualization tools. Dr. Fortner previously held positions at NASA and at the National Center for Supercomputing Applications, and has written two books on color vision and technical data: Number by Colors, and The Data Handbook. He holds a PhD in astrophysics from the University of Illinois and funded a chair in astrophysics at that university (along with a second chair in physics at North Carolina State University). He also cosponsors a film festival at that university. Brand serves on several corporate boards and advisory bodies and in 2005 received the distinguished alumni award from the University of Illinois. He is also an instrument rated private pilot, and co-owner of a Piper Archer. 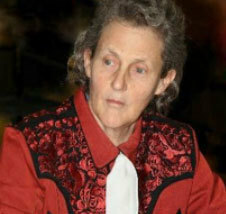 Temple Grandin is a celebrated designer and inventor, and a Professor of Animal Science at Colorado State University who received her Ph.D. in Animal Science from the University of Illinois in 1989. Her designs for facilities designed for animal welfare and more humane treatment of livestock have become a global industry standard; and in North America, almost half of the cattle are handled in systems that she designed. Dr. Grandin and her work have appeared on many radio and television shows, and in numerous articles. In 2010, Time Magazine named her one of the 100 most influential people. She has also authored over 400 articles in both scientific journals and livestock periodicals on animal handling, welfare, and facility design. She is the author of Thinking in Pictures, Livestock Handling and Transport, Genetics and the Behavior of Domestic Animals, Guide to Working with Farm Animals, and Humane Livestock Handling. Her books Animals in Translation and Animals Make Us Human were both on the New York Times best seller list. Her latest book, Calling All Minds: How to Think and Create Like an Inventor, was a New York Times best seller for middle school students. Her life story has also been made into an HBO movie titled Temple Grandin, starring Claire Danes, which won seven Emmy awards and a Golden Globe. In 2017, she was inducted into The National Women's Hall of Fame and in 2018 made a fellow by the American Association for the Advancement of Science. 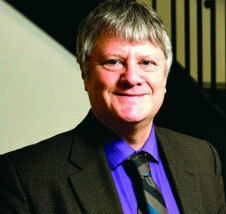 Professor Brant Houston teaches investigative and advanced reporting at Illinois. He also oversees the online newsroom at Illinois, CU-CitizenAccess.org, which also serves as a lab for digital innovation and data journalism. 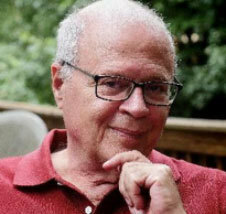 He served for more than a decade as the executive director of Investigative Reporters and Editors and as a professor at the University of Missouri School of Journalism. Before joining IRE, he was an award-winning investigative reporter at daily newspapers for 17 years. 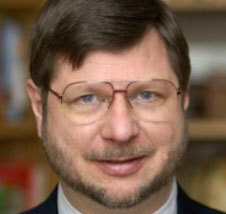 He is the author of four editions of the textbook, Computer-Assisted Reporting: A Practical Guide, and co-author of the fourth edition and fifth edition of The Investigative Reporter's Handbook. Karrie Karahalios, a professor of computer science, focuses on social computing. Much of her research is focused on a subject that drives many current news stories about politics, privacy, and more—social media platforms such as Facebook, how information flows through them, the sometimes far-reaching impacts it has, and what people know and don’t know about those platforms. Dr. Nate Kohn is professor at the University of Georgia, Associate Director of the George Foster Peabody Awards, festival director of Roger Ebert's Film Festival, director of the University of Georgia MFA program in screenwriting and award-winning producer. Dr. Kohn produced Zulu Dawn starring Burt Lancaster and Peter O’Toole; the independent feature Somebodies, which premiered at Sundance (2006); Rain, the Bahamas’ first indigenous feature which premiered at Toronto (2007) and on Showtime (2010); the feature film Bottleworld (2010); he was Executive Producer on the BET television series Somebodies (2008); he was Producer on the feature length documentary Bayou Maharajah that premiered at the SXSW Festival (2013); he produced the Emmy Award-winning short documentary Ebertfest 2012; and he was Executive Producer on The 73rd, 74th and 75th Annual Peabody Awards Specials for PivotTV/Participant Media (2014, 2015 and 2016). 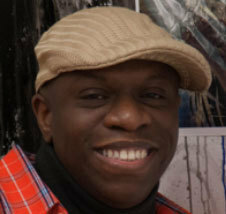 He has served on juries and mentored screenwriters at the Atlanta, Hawaii, Kerala, and Bahamas International Film Festivals. He is the author of numerous scholarly articles and of the book Pursuing Hollywood: Seduction, Obsession, Dread(AltaMira Press, 2006). 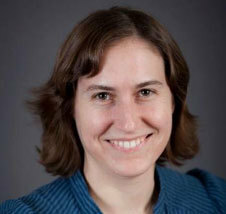 Katherine Mack received her PhD from Princeton University in 2009 before joining the Kavli Institute for Cosmology at Cambridge University on an STFC Postdoctoral Research Fellowship. Moving to Melbourne University, Dr. Mack held a DECRA early career fellowship from the Australian Research Council and a postdoctoral fellowship from Centers of Excellence in Particle and Astrophysics. She was the 2017 lecturer for Women in Physics under the aegis of the Australian Institute of Physics, giving talks at schools and universities across Australia. 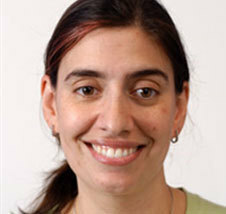 Dr. Mack is now an assistant professor of physics at North Carolina State University and her research focuses on the connections between astrophysics and particle physics: she is particularly interested in how the particle physics of dark matter can influence the evolution of stars and galaxies. Dr. Mack is a member of the Leadership in Public Science Cluster at NC State and she is well known for her strong science outreach through social and traditional media. Through her identity as @AstroKatie,Mack's Twitter account is one of the most-followed accounts of professional astronomers worldwide, with her posts generating debate across media and mainstream broadcast. In 2018, Mack was chosen to be one of the judges for Nature magazine's newly founded Nature Research Awards for Inspiring Science. Mack’s book about the ultimate fate of the Universe, The End of Everything, is slated for publication with Scribner in 2020. Born and raised in Toronto, Canada, Toni Myers is a veteran IMAX® filmmaker, credited in more than 18 IMAX films spanning a multi-faceted career of over 40 years. 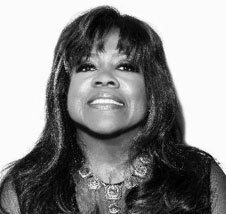 The Giant Screen Cinema Association (GSCA) awarded Toni Myers with outstanding, lifetime achievement award in 2018 for her pioneering vision. She was editor and writer of IMAX’s groundbreaking space trilogy: THE DREAM IS ALIVE, BLUE PLANET, and DESTINY IN SPACE. With the advent of IMAX®3D, Myers wrote, edited, and co-produced the award-winning DEEP SEA3D, and UNDER THE SEA3D with Howard and Michele Hall. She was Producer/Director/Writer/Editor of SPACE STATION3D, and HUBBLE3D, each awarded Best Film by the Giant Screen Cinema Association, and among the most successful IMAX documentaries ever made. Myers has enjoyed a long and productive association with NASA as a key member of the IMAX team that has trained 145 astronauts and cosmonauts in IMAX film making for 24 missions flown over 25 years. She has worked closely with the Jet Propulsion Laboratory, the Space Telescope Science Institute, and the National Center for Supercomputing Applications at the University of Illinois, marrying data from space-based observatories with pioneering computer techniques to allow audiences of all ages to explore the wonders of the cosmos in IMAX. To date, over 100 million people have seen the IMAX space films worldwide. 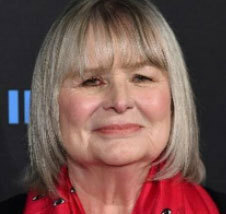 In addition to her IMAX work, Myers has many television drama and feature films to her credit, including pioneering music films with John Lennon and Yoko Ono, and Santana. Her music skills were later utilized as Associate Producer and Supervising Editor on the IMAX film ROLLING STONES AT THE MAX. 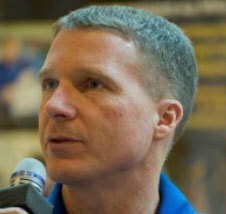 Most recently, Myers produced and directed the 3D IMAX film A BEAUTIFUL PLANET for which Myers and team trained 4 International Space Station crews who captured material for the film over a year aboard the Station. The film documents life aboard the completed Station, and examines the changes to our Earth as seen from the crews’ unique perspective in orbit. The film was released in Spring, 2016. Toni Myers lives in Toronto, and very much enjoys the company of her son, step-daughter, and 3 grandchildren. Stacey Robinson, an Assistant Professor of graphic design at the University of Illinois is an Arthur Schomburg fellow who completed his Masters of Fine Art at the University at Buffalo. His work discusses ideas of “Black Utopias” as decolonized spaces of peace by considering Black affluent, self-sustaining communities, Black protest movements and the art that document(ed) them. As part of the collaborative team “Black Kirby” with artist John Jennings, he creates graphic novels, gallery exhibitions and lectures that deconstruct the work of artist Jack Kirby to re-imagine Black resistance spaces inspired by Black diasporic cultures. His latest graphic novel, ‘I Am Alfonso Jones’ with writer Tony Medina is available from Lee & Low books. After being commissioned as an officer in the USAF, Terry Virts was later selected for Test Pilot School and then as a NASA astronaut. On February 8, 2010, he made his first spaceflight as pilot of the Space Shuttle Endeavor during mission STS-130. As a part of NASA’s leadership training, Terry attended Harvard Business School in the fall of 2011 before launching onboard Soyuz TMA-15M on November 23, 2014 from Baikonur, Kazakhstan to the ISS. In March of the following year, Terry assumed command of the ISS as Commander of Expedition 43. Terry spent 200 days in space on his Expedition 42/43 flight, which is the fourth longest continuous NASA space mission. He is one of only 4 astronauts ever to have piloted a space shuttle, flown on a Russian Soyuz spacecraft, performed spacewalks and commanded the ISS. Terry has a unique perspective about the earth having taken more photos from space than any other astronaut and being one of the stars of the 2016 IMAX film, A Beautiful Planet, shooting much of the stunning footage of our magnificent blue planet, the heavens, and the effect that’s humanity has had on our environment himself. Terry’s photography is featured in his 2017 book, View From Above. This National Geographic sponsored work features the best of Terry’s photographs along with his stories from space, reproducing the experiences of spaceflight in book format.